Queenstown are dusting off their rainbow lights, pulling out the tiaras, and preparing the hot tubs for the 2016 Gay Ski Week in Queenstown, New Zealand. 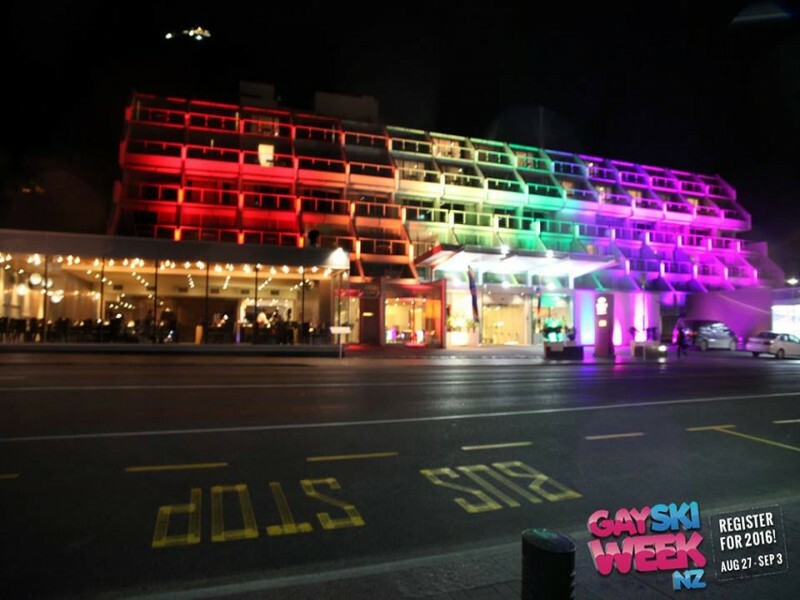 Crowne Plaza Queenstown has proudly signed up for another year as the host resort for Gay Ski Week due to popular demand. The hotel was highly sought after due to its central location in the heart of town just a stone’s throw from all the events, parties, and restaurants as well as playing host to the atmospheric Apres Ski Drinks each evening. Crowne Plaza Queenstown also managed international fame, winning people’s hearts across the world by transforming the iconic building from its traditional white to a magnificent rainbow with an impressive light display visible across Lake Wakatipu. To celebrate another year of being fabulous, Gay Ski Week NZ is releasing their early bird VIP packages to the Whiteout NZ Tour on sale from February 1st to 29th. The Whiteout NZ Tour is the all-inclusive package to book for the ultimate way Gay Ski Week experience in Queenstown. For those who want the ultimate experience and then a little bit more, the VIP package is for you. It incorporates all of the above as well as some very special extras. The early bird catches the worm, so be sure to book your Gay Ski Week NZ package so you can catch your worm and eat him too.